The featured costume from Toitu's Material Culture gallery is Rua Wight's Women's Auxiliary Army Corps uniform. This smart ensemble reminds us of the adventures abroad that opened up for young women through the creation of the women's service auxiliaries in World War 2. Rua Wight's Women's Auxiliary Army Corps uniform. Their uniforms were hard-wearing, functional garments that could still manage to look stylish. They were well cut and well proportioned; jackets with square, padded shoulders and straight, knee-length skirts. This square-shouldered, no-frills look was a decisive influence on women's fashion through the war years. Rua Wight was born in Dunedin in 1914. Her father was a Scottish immigrant who ran an interior design and furnishing business in Moray Pl. She had a twin sister, Ngaire, and a brother Thomas, who died in infancy. The Wight twins frequently featured in the social pages of the Dunedin newspapers as they attended balls and parties through the 1930s. Yet as war clouds gathered in Europe, Rua was one of many young New Zealand women who wanted to play their part in the struggle ahead. She initially trained in first aid with the St John Ambulance and then joined the New Zealand Women's Auxiliary Army Corps as a driver. 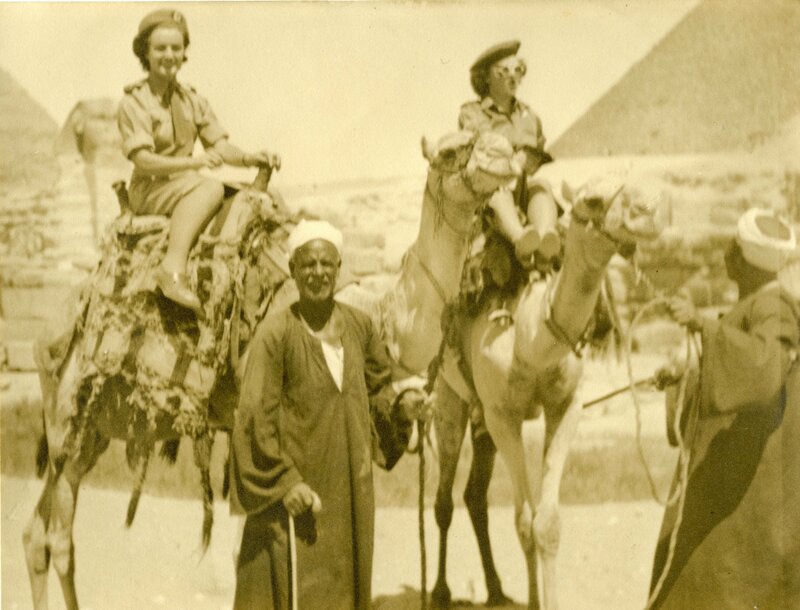 In June 1944, she went overseas, serving with the Army's clerical section in Cairo until the end of the war. Rua then seized the opportunity to carry on her "OE'' with an extended trip to Britain. She spent 10 months studying interior decorating in London and visiting all the textile centres in England and Scotland to buy product for her father's business. One of the highlights of her trip was to be guest of honour at the first post-war reunion of the Cameron Highlanders Regiment at Arbroath. Escorted by her uncle, a World War 1 veteran of the regiment, she wore her WAAC uniform with pride and was toasted as the only New Zealander present. Rua never married and died in Dunedin in 2001, aged 87. She is buried with her parents, brother and sister in a family plot in Andersons Bay cemetery. - By Sean Brosnahan, curator at Toitu Otago Settlers Museum.